iMac data recovery - Did your iMac just crash? Did you have important pictures and documents on your hard disk? We can get your data back from a crashed iMac hard disk drive 95% of the time. iMac data recovery can take from 1-7 days to complete depending on the damage to your hard disk drive. Would you like to ask one of our technicians a question before you bring in your iMac? click here tochat now or call us at 086 722 776 4. We are a true nationwide provider of iMac repair, Laptop professional repair services as well as iPhone repair. Besides repairs at our iMac repair services, Laptop repair, PC Computers and laptop repair service center in Bellville Cape town, we have recovered iMac data, for customers all over South Africa including Johannesburg, Pretoria, Durban, Kimberly, Bloemfontein, Port Elizabeth, Polokwane, Pietermaritzburg and Nelspruit plus many other South African cities. If you would like to use our professional iMac services on data recovery but don't live close to our iMac repair service center, click here for information on sending us your iMac for professional repair through our express courier service. We can usually recover your data in 1-7 days. iMac data recoveryiMac data recovery – Did your iMac just crash? Did you have important pictures and documents on your hard disk? 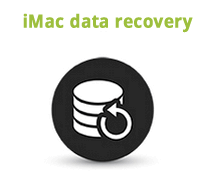 We can get your data back from a crashed iMac hard disk drive 95% of the time. iMac data recovery can take from 1-7 days to complete depending on the damage to your hard disk drive. We are a true nationwide provider of iMac repair, Laptop professional repair services as well as iPhone repair. Besides repairs at our iMac data recovery services, Laptop repair, PC Computers and laptop repair service center in Bellville Cape town, we have recovered iMac data, for customers all over South Africa including Johannesburg, Pretoria, Durban, Kimberly, Bloemfontein, Port Elizabeth, Polokwane, Pietermaritzburg and Nelspruit plus many other South African cities. If you would like to use our professional iMac services on data recovery but don’t live close to our iMac repair service center, click here for information on sending us your iMac for professional repair through our express courier service.